So Fanny J. Crosby turns out to be an American mission worker, poet, lyricist, and composer, 1820–1915. A lifelong Methodist, and blind almost from birth, she was one of the most prolific hymnists in history, writing over 8,000 hymns and gospel songs with over 100 million copies printed. I am a lover of Italian Renaissance art, and thus a big fan of angels. Here are two of my favorite angel images, very non-Renaissance. 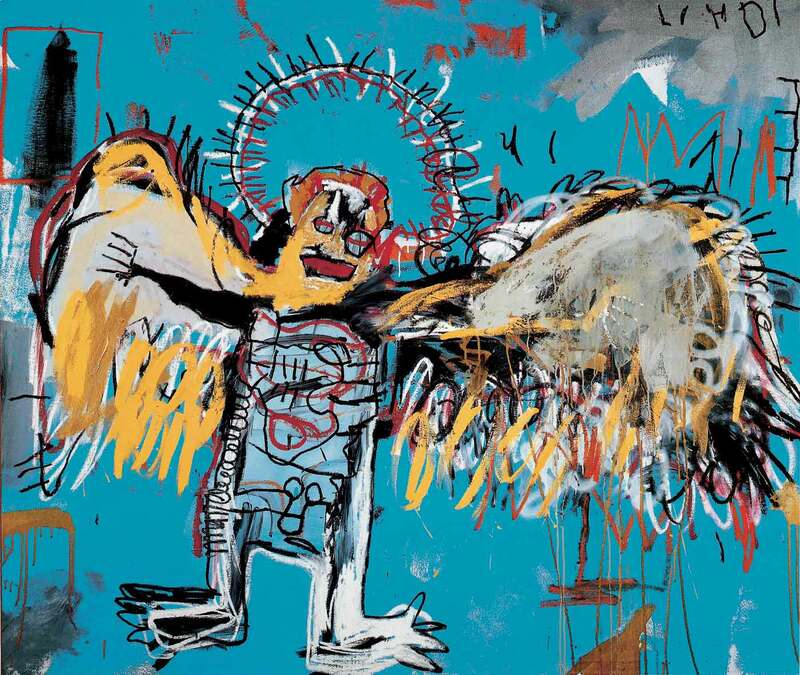 I love the first, Jean Michel Basquiat’s Fallen Angel, for the way it invites us to think about how it might feel (in living color, and we can even see into his insides) to be a fallen angel. I love the Guardian Angel on high in the Zurich train station by Niki de Sainte Phalle for its color, joy, and love, as she watches over passengers traveling their roads. This entry was posted in angels and tagged basquiat, niki de saint phalle on December 20, 2013 by Helen Ellis.